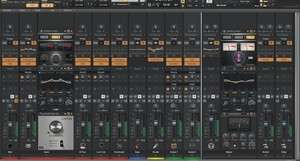 The new successor to the legendary DAW is now a freeware product. The revived DAW currently includes all core premium features of SONAR Platinum such as the award-winning Skylight user interface, flexible ProChannel modules, and powerful end-to-end 64-bit mix engine. For security reasons, you should also check out the Cakewalk download at LO4D.com which includes virus and malware tests. Additional screenshots of this application download may be available, too.